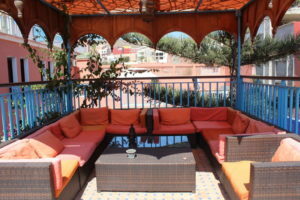 A Riad is a traditional Moroccan house with an interior courtyard, which often boasts of lush gardens. 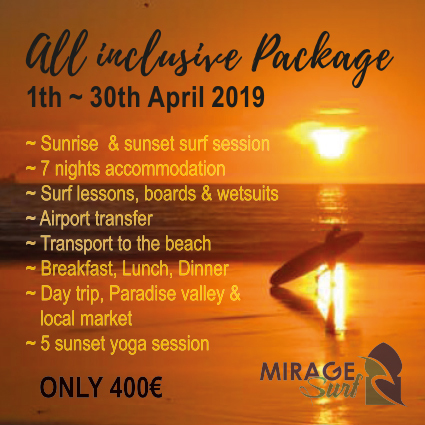 Visiting Morocco without being in a Riad would be a shame, which is why we want you to experience staying and making yourself at home in our traditional local Moroccan Riad. 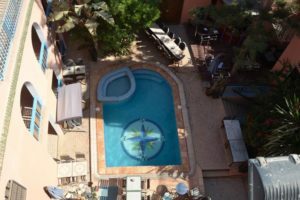 An oasis of bright Moroccan colors and flowers, a patio and lots of terraces to relax, a cool pool, and plenty of fresh, delicious food. Your home away from home! 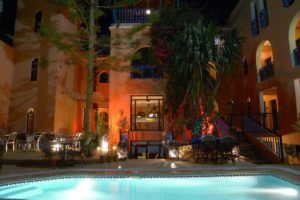 The center of the Riad is the lush patio with its pool. 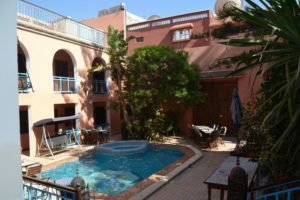 The many flowers and small trees of the Riad attract many birds and their morning song will accompany you for breakfast in the patio and soothe you in the afternoon. 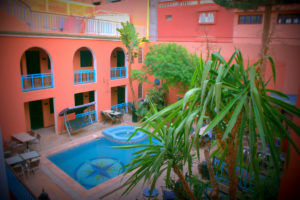 The rooms at the Riad all have ensuite bathrooms, so you can enjoy your privacy fully without any sharing of bathrooms.  We offer twin beds, double beds and family rooms. Should you wish a triple this can also be arranged. 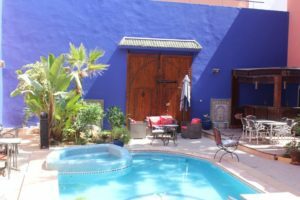 Wifi is of course available for our guests and all the delicious and tasty food you will be enjoying in the Riad is homemade on site by our local chefs. Local produce and the stone barbecue of the Riad will leave your taste buds wanting to come back for more.